Shout! 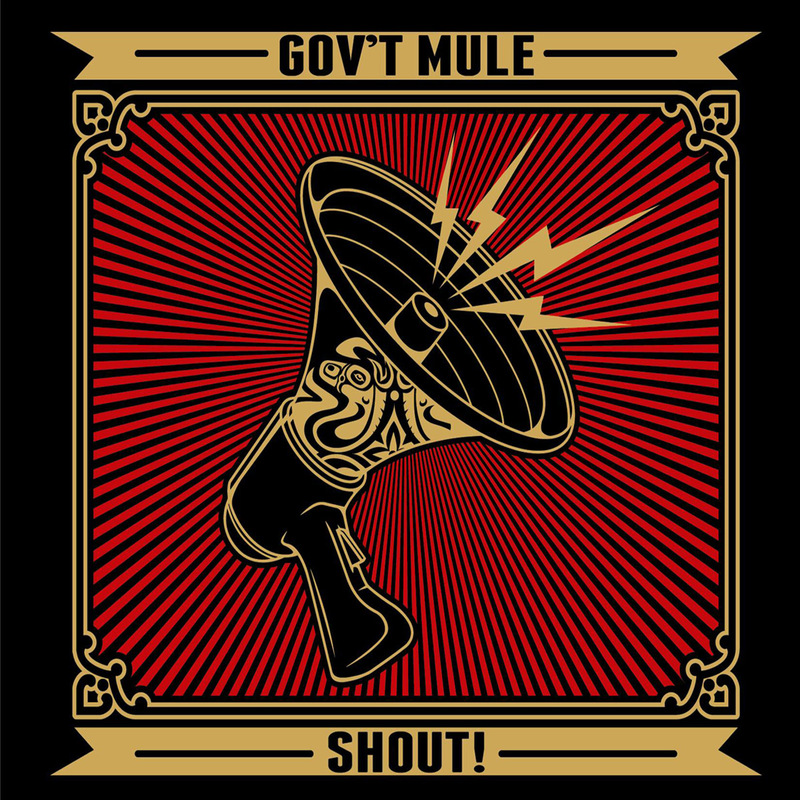 – Gov’t Mule’s first studio album in four years – will feature 11 tracks recorded by the band in Los Angeles and Stamford, CT plus a bonus album download featuring an all-star lineup of vocalists interpreting The Mule’s new songs. Special guests Elvis Costello, Ben Harper, Dr. John, Toots Hibbert, Glenn Hughes, Jim James, Myles Kennedy, Dave Matthews, Grace Potter, Vintage Trouble’s Ty Taylor and Steve Winwood appear on the bonus download of Shout! The double album – which marks Gov’t Mule’s Blue Note Records debut – will be released on September 24. The concept for the two-disc collection emerged organically as the band members considered how to best approach the songs. Haynes wasn’t even certain “Funny Little Tragedy” belonged on a Gov’t Mule album. 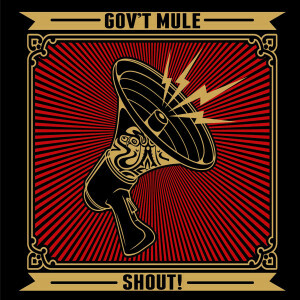 “Not only is it different from anything Gov’t Mule’s ever done, it kind of reminded me of The Attractions or The Clash.” With that in mind, he asked Elvis Costello for guidance on what kind of vocal mic he should use to get the late ‘70s-early ‘80s garage rock sound he was after. Haynes and Danny Louis had written “Scared to Live” as a Beatles-esque ballad, but Gordie Johnson, who co-produced four of the tracks with Haynes, suggested they approach it as a reggae song. They even added a new section towards the end of the track, which on playback seemed very reminiscent of Toots and the Maytals. Warren considered asking Toots, who is a friend of his, to sing a part on the song; then was struck by the notion that tilted The Mule towards a two-disc set: What if he went through the new songs and made a list of artists he’d like to hear singing each song? After receiving a resounding “yes” from his band mates, he reached out to the singers, to see if they connected to the material and would consider participating. Haynes went into a New York studio with several of the vocalists and others contributed from afar.